In 1974, Congress passed the Juvenile Justice and Delinquency Prevention Act (JJDPA). Lawmakers wrote the bill to address some of the glaring inconsistencies in approaches to juvenile justice from one state to the next. Most Americans are unaware that there are more than 56 different juvenile justice systems in the U.S. Each of which is independently operated, and there were no federal standards for care before the JJDPA. Sadly, Congress hasn't reauthorized the legislation since 2002. It was beginning to look like 2018 is the year that lawmakers were going to see past their differences and reauthorize the law, but child advocates are no longer sure. 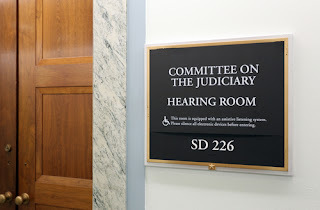 Sen. Chuck Grassley (R-Iowa), the chairman of the Senate Judiciary Committee, has spent the last four years championing the bill, which gave much hope; however, as Grassley prepares to step down from chairmanship his focus is now on a different criminal justice reform bill, The Huffington Post reports. Before lawmakers break for the holidays, the First Step Act is in the spotlight. Operation of a federal agency (Office of Juvenile Justice and Delinquency Prevention (OJJDP)) dedicated to training, technical assistance, model programs, and research and evaluation, to support state and local efforts. Supporters of the JJDPA in Congress are just one vote away from achieving the goal of reauthorization, according to the article. The hang-up rests on two senators disagreeing over whether the JJDPA should be reauthorized together with the Runaway and Homeless Youth Act. Sen. Patrick Leahy (D-Vt.) says that reauthorizing the acts together would reduce Runaway and Homeless Youth Act funding by 23 percent and would fail to protect trafficked youths; Sen. Mike Lee (R-Utah) sees the matter differently. Now, it seems that Sen. Grassley has pivoted attention away from juvenile justice and is instead working to enact criminal justice reform. The First Step Act centers around prison reform, reducing sentences, and rehabilitation. We will continue to follow this story as it develops; if the bill doesn't receive authorization by the time the session ends, lawmakers will have to start over next year. Hopefully, Grassley will manage to resolve the dispute before the end of his tenure. If your child is facing legal challenges or school expulsion, please contact The Law Offices of Katie Walsh. Attorney Walsh's extensive experience in the field of juvenile justice makes her the perfect candidate to advocate for your family. Call now for a free, confidential consultation, (714) 619-9355.